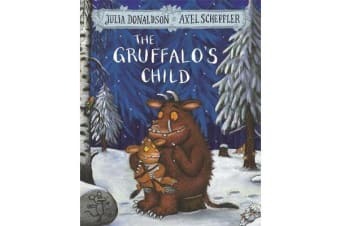 But one wild and windy night the Gruffalo’s child disobeys her father’s warnings and ventures out into the snow. After all, the Big Bad Mouse doesn’t really exist . . . does he? The Gruffalo’s Child is the Number One best-selling, much-loved sequel to the worldwide picture-book phenomenon that is The Gruffalo. 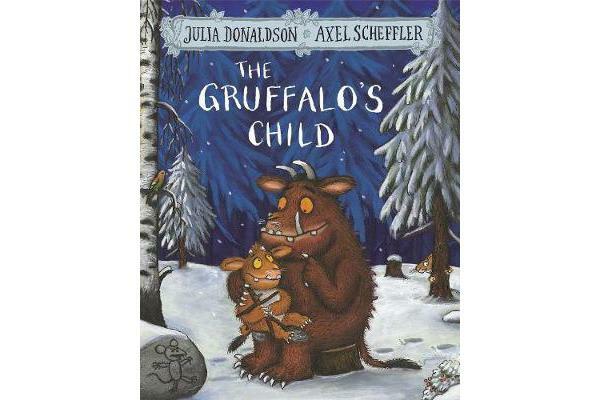 Julia Donaldson’s trademark rhyming text and Axel Scheffler’s brilliant, characterful illustrations combine once more to ensure that the Gruffalo’s Child has followed firmly in her father’s footsteps and that her story is one that children will ask for again, and again… and again! This edition features the classic story with a stunning redesigned cover and beautiful finish, making it a must-have addition to the bookshelves of all Donaldson and Scheffler fans – big and small! Also available with redesigned covers are The Gruffalo, Room on the Broom, The Snail and the Whale, The Smartest Giant in Town, Monkey Puzzle, Charlie Cook’s Favourite Book, and A Squash and a Squeeze.